I thought my proof of wearing my WONDERFUL Contiki shirt while on tour was lost when i had lost my camera on my Birthday in Santa Monica. But then a friend uploaded her photos from the LA Tour. And there it was, her and I on Angels Flight, downtown Los Angeles... me wearing the shirt. July 28 2011 - Tonight show with Jay Leno with Emma Stone. If you can see me across from the band. 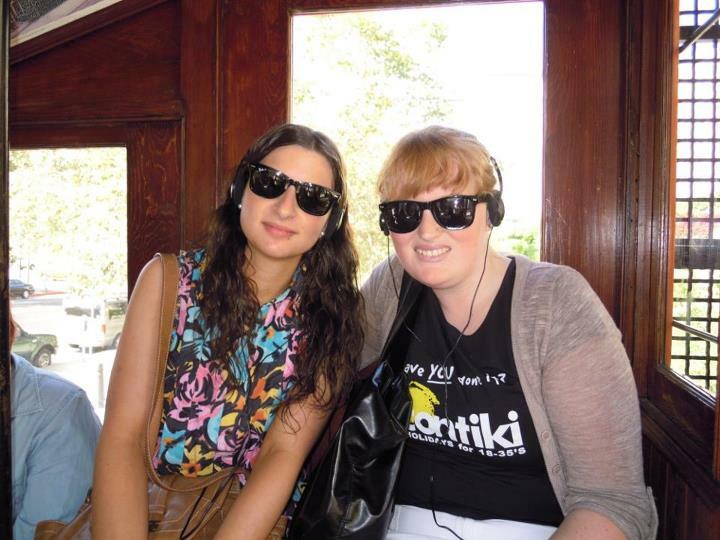 I was wearing this Contiki Shirt then also.